Experts have claimed that gathering together around a table to have some drinks and food enrich your life making you happier and more sociable. Benefits that can affect other areas of your life like household and work. 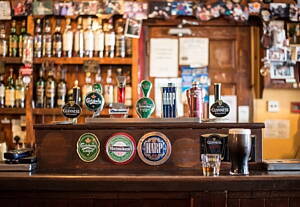 Luckily, there are many different places to get a drink in Sydney, even Irish pubs or British pubs. Some of them offer accommodation services too as a bed and breakfast and others are made for sports lovers. These sports bars will allow you to watch the matches and games you are looking forward to see besides your friends and holding a cold pint. From Infoisinfo we help you to find an open pub near you in Sydney where have a great time. There are some things that everybody appreciates when going to local pubs and restaurants. Wide range of beers, wine and ciders. Tasty and typical homemade food for realistic prices. Some pubs serving food can please you better than a much more expensive restaurant. Great friendly staff that can advice you about beer and food and that are experienced enough to perfectly run the local. Nice furniture and enough sitting space. Clientele. Good clubs, bars and pubs take care of the costumers and do not allow too drunk people to stay and bother others. At Infoisinfo we always work hard to be able to show the best places, products and services in Sydney. At Infoisinfo we think that our leisure time is very important to keep a healthy life routine. For this reason, this time we would like to help you to find a pub where you can meet your friends and have a fun time while eating homemade meals and drinking beer and other beverages. Thus, we’ve prepared a list of the best pubs in Sydney, among which you will find the best cocktails and food and even a typical English pub. Contact details such as phone numbers, websites, address and opening times, so you can make a call and book a table. In addition, you can have a look at valuations and pub reviews. 249 Mamre Road, St Clair, Sydney. Sydney. NSW, 2759. 2, 10 Darling Dr, Pyrmont. Sydney. NSW, 2009.